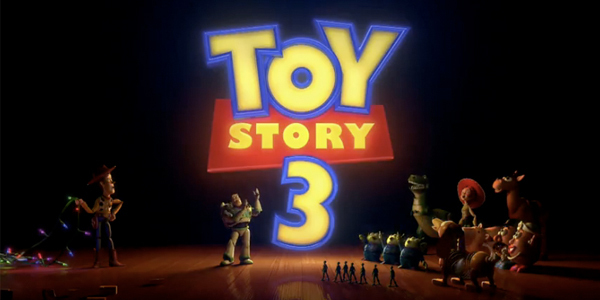 When I first saw Toy Story back in 1995, I remember being completely amazed. It was groundbreaking, it was hugely entertaining, and best of all it was hilarious. It was easily my favourite kids film, ever! 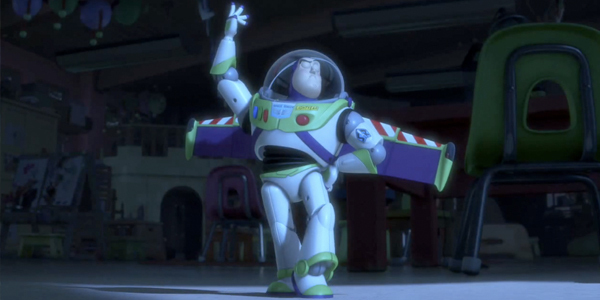 Then came Toy Story 2 in 1999, a fantastic sequel that only made the franchise funnier, cleverer, and nicer to look at. It was probably the best continuation of a great film I had seen, and in the end of it Pixar managed to whet my appetite for yet another film by leaving the ending fairly open for more epic toy-based madness. Yeah right! I saw TS3 (in 2D) the other day and it was absolutely brilliant! All the same humor and charm was right there where it was before, and I laughed so loudly at times I was a little concerned I might be drawing too much attention to myself, but on the other hand every single person in the cinema was laughing a hell of a lot, and so it just goes to show that Toy Story really is for everyone, and the content is certainly not restricted to only one age group. When the film started I was immediately sucked right in, thanks to the amazing action sequence at the beginning. Within the first 10 minutes, you quickly see how much Pixar have progressed since the first Toy Story movie right up to today, and it’s almost safe to say that in the beginning of the film, Pixar are well and truly just showing off. The animation and special effects are fantastic, and the action is so non-stop you simply don’t want to look away, ever. But all of this is to be expected after seeing so many great 3D kids films come out of their studios over the last fifteen years. What I wasn’t expecting out of it was a deep and engaging storyline. Obviously Toy Story has always had a narrative to follow – and it’s always been brilliantly told – but the emotional impact of this one in particular took me completely by surprise. Every exciting moment, every laugh-out-loud gag, and in particular the numerous emotional scenes throughout the film all kept me hooked for the whole experience. All of the films have their own qualities of course, and it’s hard for me to say whether TS3 is in fact a ‘better’ film than the other two, but what I do know is that it looks fantastic, grabs your attention so much better and just feels spot-on – all right from the offset. I don’t intend to ruin anything about this film for anyone, because the only way you should know what happens is to see it for yourself. 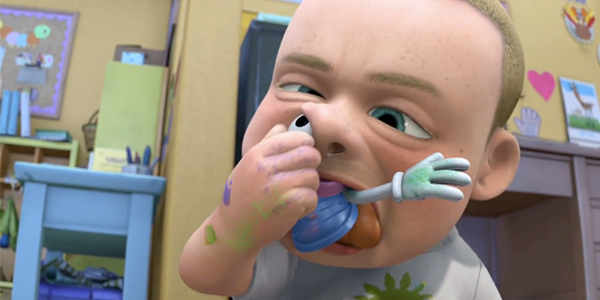 Some scenes are just incredible, and if I wasn’t such a big, strong, manly man, I most definitely could have cried at some of the emotional events that take place – especially toward the end of the film – but to be fair, I swear Pixar have some kind of personal mission to try and make kids cry. Don’t let the fact that I found some scenes incredibly sad to watch taint your idea of what the film will be like though, because there are tons of jokes in TS3 that are so funny for everybody, you’ll come out of it struggling to remember them all. The movie failed to disappoint me in any way, and was definitely the perfect way to end to an outstanding trilogy. Now I’m just looking forward to owning all three on DVD and watching them back to back. Good times! Go and see this film! Now! This entry was posted in Movie Reviews and tagged animation, pixar, toy story. Bookmark the permalink.